Nam Heong Food Court @ Ipoh, Malaysia - Always Travelicious ! 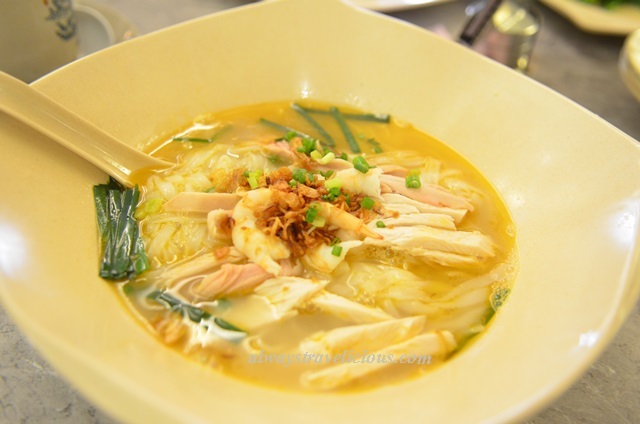 With the opening of Nam Heong Food Court at Soho Complex, popular hawker food stalls are gathered under one roof, including Stadium Stall 18 Fried Koay Teow, “Pak Kong” (White House) Chicken Rice, K10 Fish Ball Noodles, Facey Noodle House and of course the famous dim sum and white coffee from Nam Heong itself. 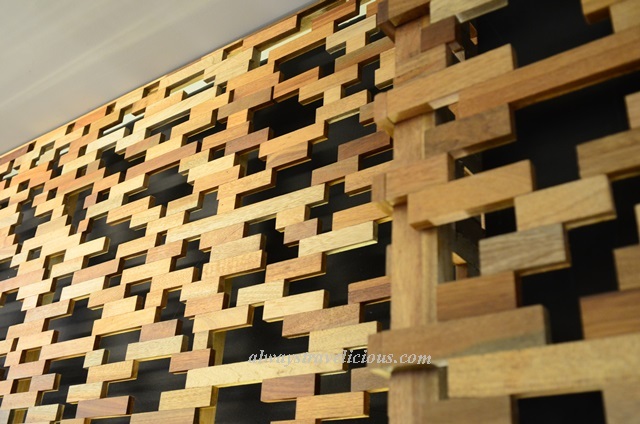 It is a convenient and fashionable way to get a gist of Ipoh hawker food, housed in a stylish building, covered by rippling silver square tiles that are constantly displaying a varying facade with the ever-changing play of light and reflections. All the food stalls are located at the ground floor, and there’s no need to walk among them, choosing the item of your desire. All you need to do is go swiftly upstairs via the escalator, and order everything from the tablet equipped on every table. 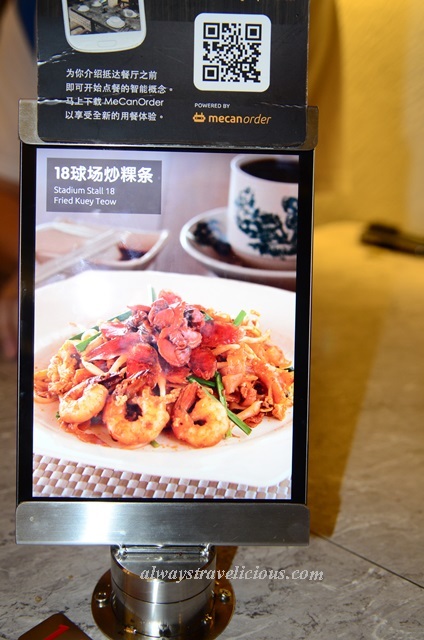 Ordering hawker food has just gotten savvy, speedy and never been easier. Gone were the days where the staff would come to your table to take order, be it kopi-o or teh-ais, and roar on that message to the back of the kitchen. Ordering is in real-time such that food is instantly labelled “unavailable” on the menu when it is finished, and made available again once replenished. White Coffee from Nam Heong (RM 1.90). Delicately-fluffy with BBQ chicken filling and a dash of white sesame seeds, the Chicken Puffs (RM 1.90 per piece) from Nam Heong are a hit with Ipohrians and out-of-towners alike; grabbed in no time as soon as they are out from the oven. Chicken Hor Fun (RM 6.20) is listed under “Tin Heong” , which made us curious of where exactly that is. We suspect it is from “Thean Chun”, but perhaps a tad toned down in terms of flavor compared to the original one. and Chee Chong Fun, where you choose your desired sauces like chili sauce, mushroom sauce, sweet sauce, white sesame seeds, etc, all through the tablet as well. Old-fashioned wooden chairs, nostalgic floor tiles and a sleek interior design portray a marriage of the past and present. The pricing is a tad more expensive than the original stores which I think is reasonable given the luxury of air-conditioning and trendy atmosphere. Despite waiting systematically (numbers were given), with a crowd for a table, the turn over time was fast at about 15 minutes. Food was served even faster. Before you finish talking about the latest topic with your friends, the food would have already arrived at your table. Just when I thought ordering hawker food through tablets all seems too advanced and maybe some of that hawker vibe is lost, I realized no napkins and tissue papers were provided. We still had buy the small 30 cents packet of tissue, just like the good old days, so I guess that part of hawker food essence is kept. Address : Block B, 2-14, Soho Ipoh, Jalan Sultan Iskandar Shah, 3000 Ipoh, Perak, Malaysia. Will have to try that then ! Mmm…Ipoh anything sounds pretty good. Nice to hear of this new food spot and it will be a handy one-stop-shop for out-of-towners who may not know all these treasured hawkers as a local would. Thanks for the share. 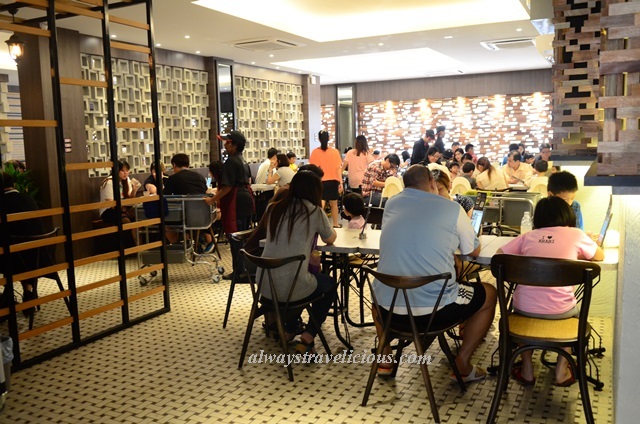 Pingback: Ami Domicile Cafe @ Ipoh - Always Travelicious !Always Travelicious !